North Coast Softball – Cleveland's LGBTQIA softball league! Opening Day coming May 5, 2019! If you are interested in playing and need a team, contact our recruiter Donnie at: recruiter@northcoastsoftball.org! Off weeks include 5/12, 5/26, 6/16, & 7/7. Playoffs tentatively scheduled for 8/18. Manager meeting coming March 7. If you are a manager and did not receive the welcome e-mail with all the info, please contact us at commissioner@northcoastsoftball.org ASAP! PAY YOUR INDIVIDUAL (AND TEAM) FEES EITHER ELECTRONICALLY OR BY CASH OR CHECK! Team fees are $750 before April 28. Individual fees are $20. For individual fees, be sure to put the team name and all of the players’ names you’re paying for in the notes/memo. By cash or check: At the fields before you take the field. Make checks payable to North Coast Athletic Association. Hit those batting cages now! Click here to find batting cages! We welcome questions and comments! 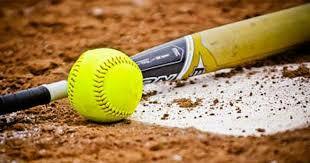 Feel free to e-mail Commissioner Kelly McGowan at commissioner@northcoastsoftball.org.